Friends and readers, I am thrilled to share the news with you of a new release from ALL CAPS PUBLISHING: FM Ghost, the debut full-length poetry collection from poet and journalist Steve Shultz. Nothing insubstantial about this volume, despite its (wonderful but spectral) title. I love Steve's poetry. It is sparse and searching, dark and light, thoughtful and sometimes whimsical. I couldn't be more pleased to stand up my own work next to Steve's and I'm grateful that he's joined the ALL CAPS collective for our journey. Congratulations to Steve! 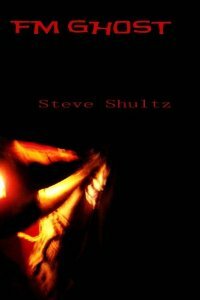 Be sure to check out Steve's author page at Amazon. Read more of Steve's great poetry at his blogs, FM Ghost and Fractured Phrases. And please visit the ALL CAPS author page for more information about Steve (and our other authors). This sounds superb. Can't wait for my copy to come in! Thank you for the wonderful blurb! The whole thing is still surreal. :)I can't wait to get MY copies! !